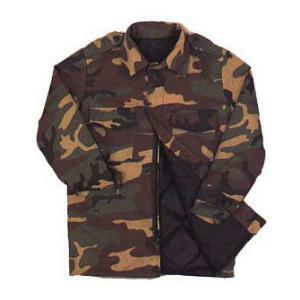 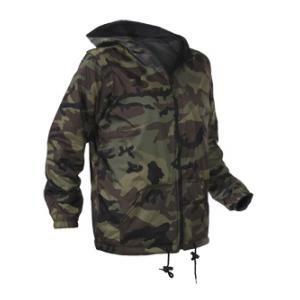 The M-65 Field Jacket is made of a poly/cotton blend with a built-in liner, a 6oz quilted nylon inner shell, four flap front pockets, snap cuffs, epaulets and hood inside collar. 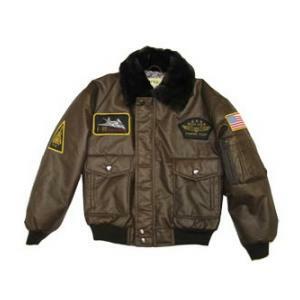 Leather like outershell, WWII map print lining, polyfill, 2 front patch/slash pockets, insignia patches. 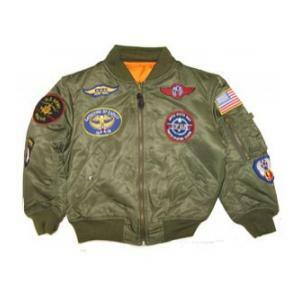 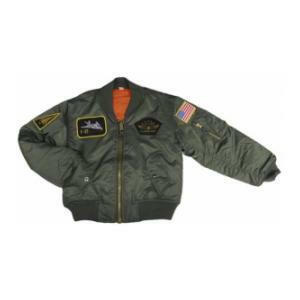 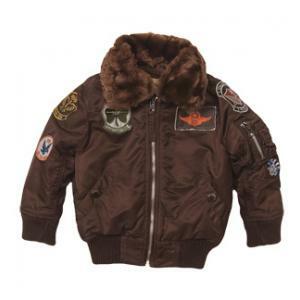 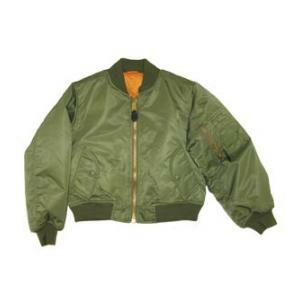 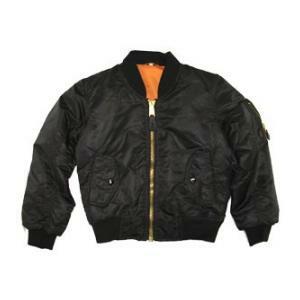 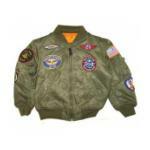 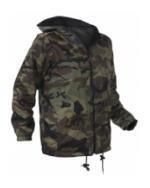 The MA-1 Flight Jacket has a Nylon water repellent outer shell and an 6oz polyester fiberfill in the body and sleeves. 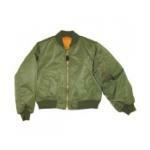 The MA-1 Flight Jacket comes with a Knitt collar, cuffs, waitband and comes with heavy-duty zippers. Reversable to orange for emergency use. 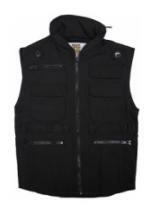 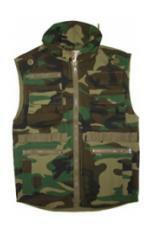 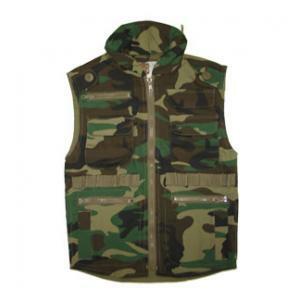 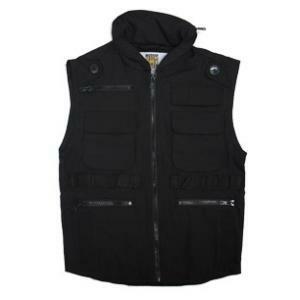 The youth Ranger Vest is made of a poly/cotton blend with 8 front Velcro & zippered pockets, rear Velcro game bag, shell loops and zippered collar with hood.